I am pleased to provide you with an update on our principal search. As you may recall, internal discussions about priorities for BC High’s next principal began in November 2018. The formation of a Principal Search Committee and Search Advisory Committee were completed by early December. Our community voice was solicited through multiple live meetings as well as opportunities to submit ideas and feedback electronically. In the middle of December, our national principal search was publicly launched and yielded interest from many pockets of the globe. Through our outreach, we have learned that BC High has an excellent reputation in the United States and beyond. Our Jesuit, Catholic school colleagues and mission advocates have been active partners in the pursuit of our next principal. Candidates engaged in Boston and around the country report positive impressions of BC High and the excellent reputation of the school is strong. BC High needed no introductions. Candidates were interviewed by our search consultants Mary Gene Clavin and Nicola Dempsey of Advancement Incite, and recommendations were made to the Principal Search Committee. Beginning in early January, the Principal Search Committee held weekly conference calls to hear about and fully vet candidates who were qualified and interested in the opportunity. After casting a wide net to more than 150 contacts, our search consultants conducted numerous phone screens, and nearly 20 live interviews. Through conversation and careful examination, the Principal Search Committee selected a slate of five candidates to interview in early February. The candidate pool included a diverse group of professional career educators, school leaders and extraordinary leaders in other sectors. Members of the Search Advisory Committee have been diligent guiding the search process, participating in live meetings and conference calls. While representing various constituencies in our community, they seek to ensure key topics are covered in interviews and that a fair process is conducted for all candidates. As we enter the next phase of our principal search, I would like to thank our committee members, faculty, staff, parents and students who support this important process. Your time and patience sustain our deliberate pursuit of BC High’s next principal. If all continues to go as planned, we are on target to name a new principal for BC High very soon. Who will select the next Principal? Members of the community of BC High will have an opportunity to attend public forums to discuss the search process and the selection of the next Principal. Search Committee Chair, President Regan P’12, has selected members of the community to serve on a Principal Search Committee that will develop a position description, interview candidates and guide President Regan throughout this important endeavor. Members of the search committee represent a diverse range of experiences and points of view and all bring a strong commitment to and involvement in the school. In addition, a Search Advisory Committee will be developed to ensure full collaboration of the BC High community. With the approval of BC High's Board of Trustees, President Regan P'12, Chair of the Principal Search Committee, will name the next Principal for school. Who will facilitate the search process? BC High has engaged the services of Advancement Incite as its partner in the search. Mary Gene Clavin, Laura Oaksmith, and Justine Hoffman will work together to steer the search process and to recruit candidates. Mary Gene and Laura have extensive executive search experience and are advised by Justine Hoffman, a former Head of School. 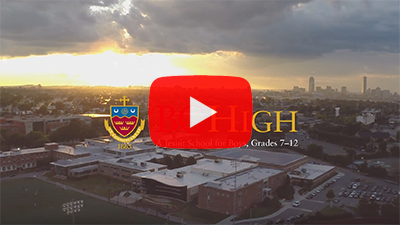 Advancement Incite has worked with BC High on several searches and understand our culture, core values, and school community. What is the role of the Principal Search Committee, Search Advisory Committee, and Search Consultants? As a first step, the Search Consultants will conduct an assessment of the principal opportunity and gather input from members of the community. During the assessment phase, our search consultants will identify specific opportunities, challenges, and the desired profile for the next Principal. Public forums conducted by Advancement Incite will be held for faculty, staff, parents, and students. Attendees will have an opportunity to ask questions, make suggestions and learn more about the search process. Search Consultants with Advancement Incite will begin recruitment of candidates immediately, while concurrently developing a position description and marketing plan. Candidates will submit resumes, cover letters, and statements of educational philosophy prior to live interviews with Search Consultants. Members of the Principal Search Committee will review candidate files and interview those who meet the qualifications. Information about candidates will be shared with the Search Advisory Committee throughout the search process. Finalists will visit BC High’s campus. As part of the candidate evaluation, President Regan P’12 will draw upon the advice from the Principal Search Committee and Search Advisory Committee to ensure an inclusive and collaborative process. After considering input from all constituents who meet with finalists, President Regan P’12 will make her decision to hire. How will the candidate pool be developed? 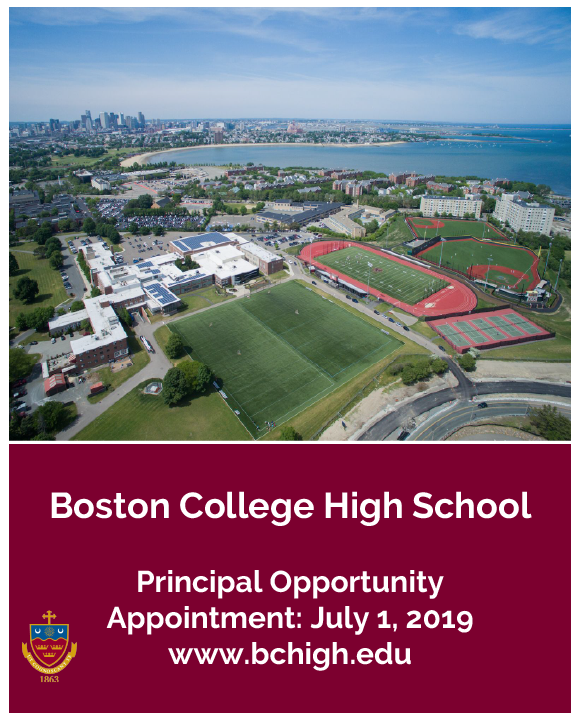 President Regan P’12, members of the Principal Search Committee and Search Advisory Committee will collaborate to develop clear qualifications and attributes required of the next Principal of BC High. Input will be collected from senior leaders at BC High and others at the direction of the President. The Principal Search Committee will evaluate candidates once they have been vetted by Search Consultants from Advancement Incite. Committee interviews will be designed to probe the experience of candidates with a combination of structured inquiry and follow-up questions. Topics will include but are not limited to, Ignatian Spirit and the Jesuit mission, academic leadership, management, educational philosophy, equity and inclusion work, hiring practices, finances, and school culture. Based on the outcomes of interviews, the Committee will make recommendations for candidates to advance in the search process. Finalist candidates will be invited to campus to experience BC High, for further discussion and potential courtesy introductions. An offer will be extended to the leading candidate once reference checks have been completed and are satisfactory. The Principal search will be announced to national and international colleagues and is expected to draw extensive interest. Our Search Consultants and members of the Principal Search Committee will be soliciting and screening candidates throughout the coming months and into the new year, 2019. We expect to be hosting finalist visits to our campus either late in the Winter or early Spring, followed with an announcement about the appointment of our Principal. Provided the search is executed as planned, the Principal of BC High will assume responsibility on July 1, 2019. Will the search impact my child’s experience? Steve Hughes ‘73 will remain Principal of BC High until June 30, 2019. President Regan P’12 and members of the Board of Trustees are committed to ensuring that each child has a fulfilling academic and student experience throughout the year. Confidentiality is critical until the hiring of a candidate is announced to the BC High community. Most candidates who participate in this search will be gainfully employed. To protect the employment of candidates, the integrity of the search and the reputation of BC High, information about the search will not be shared beyond members of the Principal Search Committee and Principal Search Advisory Committee. If you have questions or concerns, please forward them to Mary Gene Clavin at mgclavin@advancementincite.com. General inquiries may be sent to principalsearch@bchigh.edu.